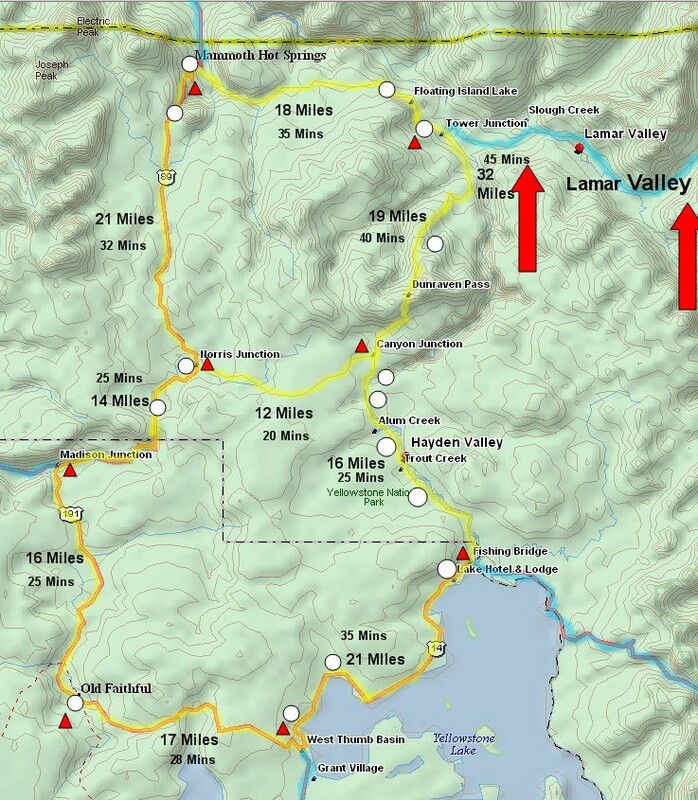 This map uses a red arrow to show the rough location of Lamar Valley. Its located east of Roosevelt Lodge and is more or less between the red arrows. The red triangles show the location of lodging. The white circles let you see either pictures or a map with more detail that also links to pictures. Click on them to see the pictures.